One of the world's most trusted tire brands, Maxxis delivers high-quality products to customers in 170 countries and employs more than 25,000 people. Maxxis didn't become one of the world's top tire companies overnight. Through the years since its founding in 1967, Maxxis has become known for its commitment to excellent products and customer service. This commitment has led Maxxis to create new technologies to develop their tires. Maxxis tires are tested both at their own facilities and at the world's leading tire test centers. Every Maxxis tire is manufactured using the most advanced equipment, by personnel who display a dedication to quality at every level, from management to the factory floor. 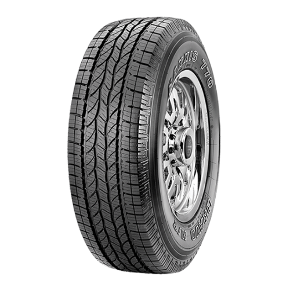 The Maxxis Victra MA-Z1 is an ultra high-performance radial featuring an aggressive unidirectional tread design. The MA-Z1 offers excellent cornering and handling ability as well as superior wet and dry traction. Stylish looks and outstanding performance characterize the Maxxis MA-V1. The MA-V1 is flawlessly constructed and performance-tested to meet the most demanding driver's needs. 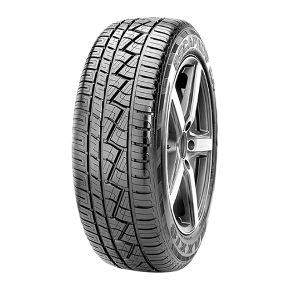 Equipped with an aggressive tread pattern, the MA-V1 takes maneuverability to a new level. 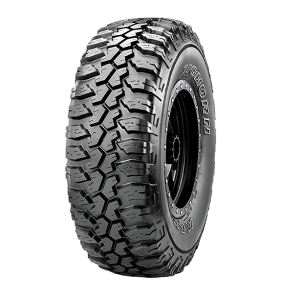 The ultra high performance Maxxis Waltz MS300 features a specially formulated tread compound, providing a unique balance for fuel economy and a quiet, comfortable ride. The unique tread pattern design, offers ultimate wet traction, and the computer-simulated pattern pitch sequences and block arrangement minimize impact and tread noise. 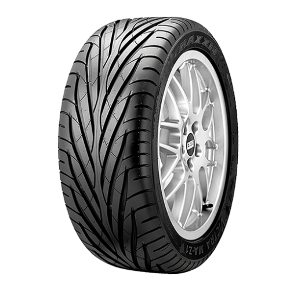 The Maxxis MA-P1 is a performance radial featuring a revolutionary tread design that enhances wet and dry traction. Its precise handling creates a quiet, comfortable ride, making the MA-P1 ideal for mid-size and luxury sedans. 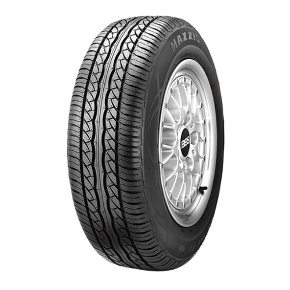 The Maxxis MA-1 is the perfect touring tire for almost any passenger car. With an attractive design and solid construction, the MA-1 offers a variety of sizes to fit your vehicle's specifications. 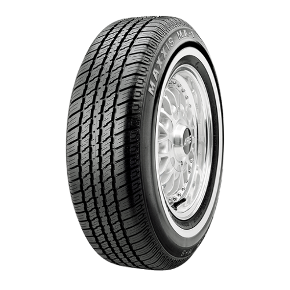 Possessing a unique tread compound, the Maxxis Escapade MA-T1 had been specially designed to provide long, trouble-free service and a smooth, quiet ride. 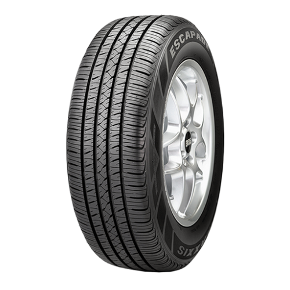 You'll get superb mileage from the Escapade MA-T1, one of the finest touring tires available anywhere. 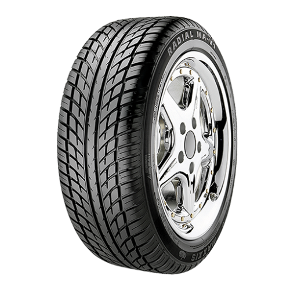 The Maxxis Escapade CUV CV-01 All-Season high performance tire is designed for crossover utility vehicles. Adaptive Response Sidewall technology delivers a smooth ride and excellent handling. Straight and slanted circumferential grooves increase water dispersion for hydroplaning resistance and wet weather performance, and Multi-pitch tread block technology offers a quiet, comfortable ride. 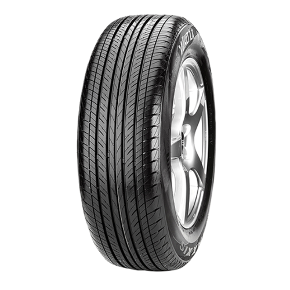 The Maxxis Bravo Series HT-770 is the result of over three years of market research and engineering. Maxxis started by using feedback from our customers. The HT-770 features improved overall braking performance, stabiltiy under emergency maneuvers or heavy cross-winds and minimized pattern noise, effectively reducing driver fatigue. 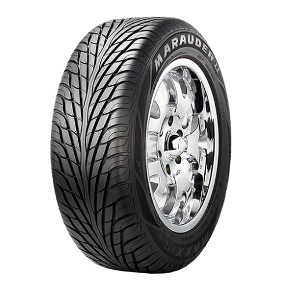 The innovative Maxxis Marauder II MA-S2 Performance SUV/LT tire features a unidirectional tread design to handle all weather conditions. Offering a smooth, comfortable ride, the MA-S2 Marauder II is strong enough for high performance and durable enough to last. The Maxxis Bighorn MT-762 is a radial construction tire with a wide footprint providing better shock absorption and excellent traction. Designed to provide a smooth ride suitable for desert, dirt, rock, snow, and mud applications, the Maxxis Bighorn MT-762 is suitable for all terrains.